Elder Childs is the author of WOMEN OF VISION Their Lives, Struggles, and Triumphs, NO MORE TEARS Surviving Abuse and STILL STANDING women who refuse to give up and numerous newspaper articles. See Publications page. Her ministry is dedicated to bringing deliverance, healing and wholeness to women and youth through biblical study and life application. Her goal is to empower them to reach their highest potentials personally, spiritually and professionally. Elder Childs has dedicated her professional career to counseling battered women and children who live with domestic violence and substance abuse. She has a special “calling” to help eradicate the HIV/AIDS epidemic through health awareness and creative prevention initiatives. Elder Childs believes that healing must occur on three levels—emotional, physical, and spiritual. A native of Massachusetts, she currently resides in Georgia. She has a daughter, a daughter in covenant, two sons, a grandson, and three granddaughters. Celestial Enterprises Unlimited, Inc. is a God-given and God-driven charitable organization. All of the services that we provide are delivered by highly qualified persons who strive to do all things "in decency and in order." 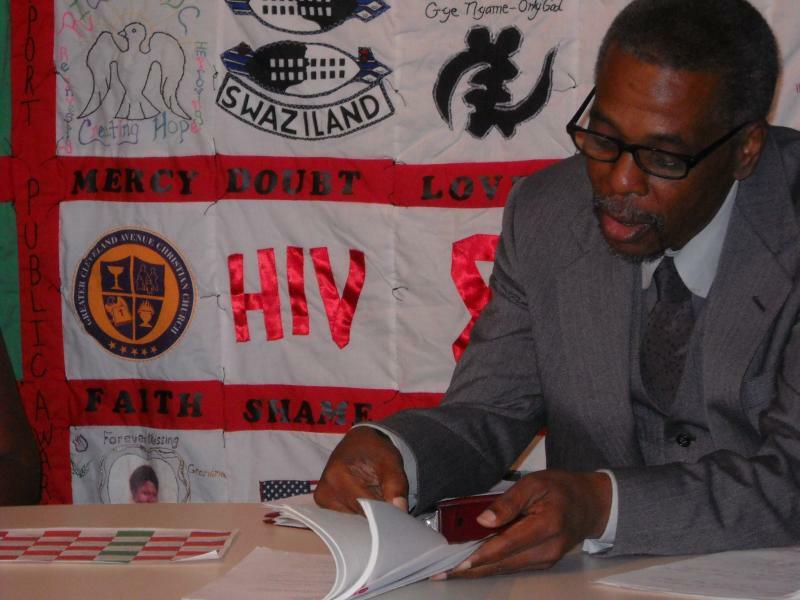 Our professionally trained educators, social workers and volunteers provide education, counseling, aid and support to help meet the needs of men, women, children and youth suffering from emotional, spiritual and/or physical abuse; loss and grief; homelessness; and the affects of HIV/AIDS in the U.S.A., Africa and Haiti. Through community and global partnerships, Celestial Enterprises Unlimited, Inc. helps to educate and empower individuals; churches, communities; groups and organizations through providing consultation, program development, informative workshops and other creative initiatives. Currrently, we are partnersing with Harvest Tabernacle International Ministries founded by Dr. Dannetta Sparks in Atlanta, GA.
We sponsor fund raising events for orphans in Africa and Haiti, especially those suffering due to the pandemic HIV/AIDS disease. Through our Celestial Expressions component, we utilize the visual and performing arts to educate, entertain and inform the public on a wide variety of health and social issues from a faith-based perspective. Currently, we are partnering with Zoom Productions Inc. to help mentor and empower youth and young adults through creating opportunies for them to showcasw their artistic, liiterary, musical and dance talents through live performances, talent shows, and other initiatives. , Mariah L. Childs, CEO of Celestial Enterprises Unlimited, Inc. being interviewed by collaborative partner, Henry Anderson, CEO of Zoom Productions Inc., for his Zoom In T.V. show focusing on the HIV/AIDS epidemic. Henry Henry Anderson, host of the Zoom In T.V. 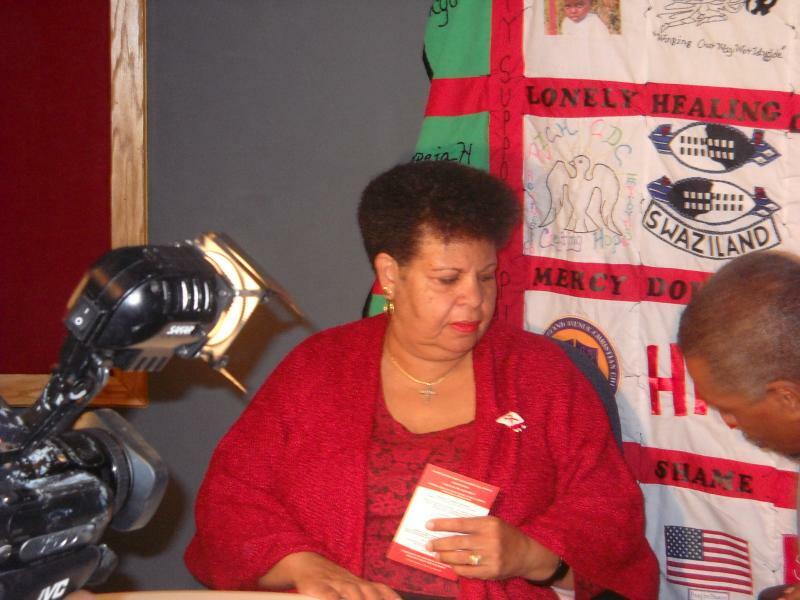 show discussing the "Voices in the Wilderness" Quilt of Hope in the background created by Mariah Landrum Childs. "In 1986, the Lord convicted me strongly that my life should exemplify that of a Christian virtuous woman and to be an active and vibrant wife and mother. He also convicted me that I am to be a witness to the world, going forth to share the Gospel of Jesus Christ with all nations. “And to one he gave five talents” Matthew 25:15 (KJV).